ALM 24 will be held in Rotterdam, The Netherlands, from July 2nd to July 5th, 2017. The focus of this three day conference will be on several international themes in mathematics and numeracy education for (young) adults. Charlotte Arkenback, Sweden – Problem: The Numbers of Squares on a Chessboard – But, what if you don´t see where the squares on the chessboard start and end? Maryam Kiani, USA – Critical Mathematics in a Post-Truth Era: Mathematics is a prerequisite to philosophy and therefore access to wisdom and truth. We are delighted to introduce the following confirmed plenary speakers. More information on the plenary lectures can be found here. The provisional Conference Schedule is now available and can be downloaded: ALM24_Daily_sessions-provisional_schedule. The abstracts and schedules will also be provided upon registration. The conference will start with a welcoming reception on Sunday July 2nd, 2017 from 16.00 to 19.00. The Monday July 3rd evening dinner “Albeda Buffet” will be at Baljuw 2. The Tuesday July 4th evening conference dinner will be at “Tante Sjaar”. See directions here. Public transportation tickets will be provided upon request (from the registration desk). Accompanying persons are welcome to the opening reception and can buy tickets (€ 30,=) for Monday Albeda Buffet and Tuesday Conference Dinner at the registration desk during the conference. For publishing your paper in the Proceedings of ALM24 or the ALM International Journal (ALM-IJ), please read the Guidelines. What is the deadline for submissions for the ALM-IJ or the ALM24 proceedings? The deadline for the procedings will be announced later, but is probably around October 1st, 2017. The deadline for the ALM-IJ will be announced later, but is probably around October 15th, 2017. Presenters at ALM24 will be informed by e-mail. Albeda College, the largest vocational college in Rotterdam and one of the major colleges in the Netherlands, is proud to host this event. 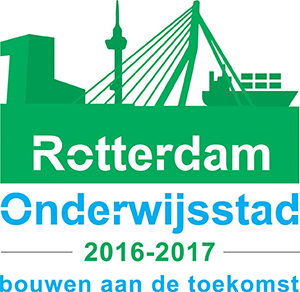 The conference will take place in Rotterdam, Holland’s second biggest city and Europe’s largest port. Rotterdam is known for its innovative ambitions, multicultural population and a hands-on and no-nonsense approach to work, education and life in general. This Rotterdam mentality will reflect in the conference organisation and in the overall theme: All hands-on math. We especially welcome professionals who work with dedication and inspiration on mathematics and numeracy for (young) adults. Around the conference venue there is ample opportunity for accommodation in several price ranges. Suggestions and special offers can be found here. Registration is now open, please read carefully the instructions under the registration tab. More information on travelling in the Netherlands can be found here. The organisation ALM provides the opportunity for bursaries to practitioners and researchers from institutions involved in Adults Learning Mathematics with limited resources to visit international conferences such as ALM24. You can download the Bursary Form 2017 here. For additional questions please contact ALM directly by e-mailing to treasurer@alm-online.net. The following fees are applicable. To see what is concluded in the conference fee, please read this overview. Accompanying persons are welcome to the opening reception and can buy tickets (€ 30,-) for Monday BBQ and Tuesday conference dinner at the registration desk during the conference. Secure on-line payment can be made through i-Deal (Dutch participants), VISA, and MasterCard. Most language of our standard registration and payment module is programmed in Dutch. Our apologies for any inconveniences this causes. A leaflet with explanations can be found HERE. Please study it carefully before registration. To access the registration module click on AANMELDEN. The conference program may be subject to changes (based on decisions by the Programme Committee). In the case of unforeseeable events, it is up to the Programme Committee and the Board of Trustees of ALM to decide on changes or even the cancellation of the conference and the amount of refund of payments. If the conference is cancelled, the remaining funds will be paid back to the participants and no further liability of the local organizers or ALM will be accepted towards the client. The registration for participation in the conference is binding. All cancellations and changes regarding the conference registration must be made in written form to the conference registration secretariat by sending an email to ALM24@slo.nl. Refunds are possible until June 15 th, 2017. The conference organisation has invited practitioners, researchers and policy makers to share their (classroom) experiences, research results, and policy matters on ALM24 with an international audience. The programme is final now. To be scheduled as presenter after acceptance of your submission, you have to register as conference participant. Please send your name and the name of your organization to ALM2017@albeda.nl and we will keep you informed on further information and announcements.